Michael Vargas is an attorney in Rimon’s Palo Alto office and a member of the firm’s Corporate practice group. As a member of the Corporate practice group, Michael represents clients in a range of corporate transactions including formation, convertible debt financing, angel financing, venture capital and private equity backed expansion, state and federal securities, employment concerns, and mergers & acquisitions. In this capacity, Michael has represented clients in a variety of industries including robotics, software development, banking, social media, education, and other high technology industries. Michael also specializes in corporate social responsibility, serving as the Chair of the American Bar Association’s Committee on Social Entrepreneurship and Social Benefit Entities. Michael counsels social entrepreneurs in forming benefit corporations in California, Delaware, and Minnesota, and also represents socially responsible investment funds investing in a new generation of green companies. Outside of the firm, Michael teaches startup and business law courses at UC Hastings and the University of Santa Clara Law School. 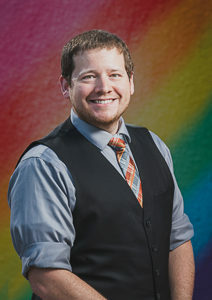 Michael also serves on a number of nonprofit boards including the American Constitution Society and the Friends of the San Jose Veterans Center.